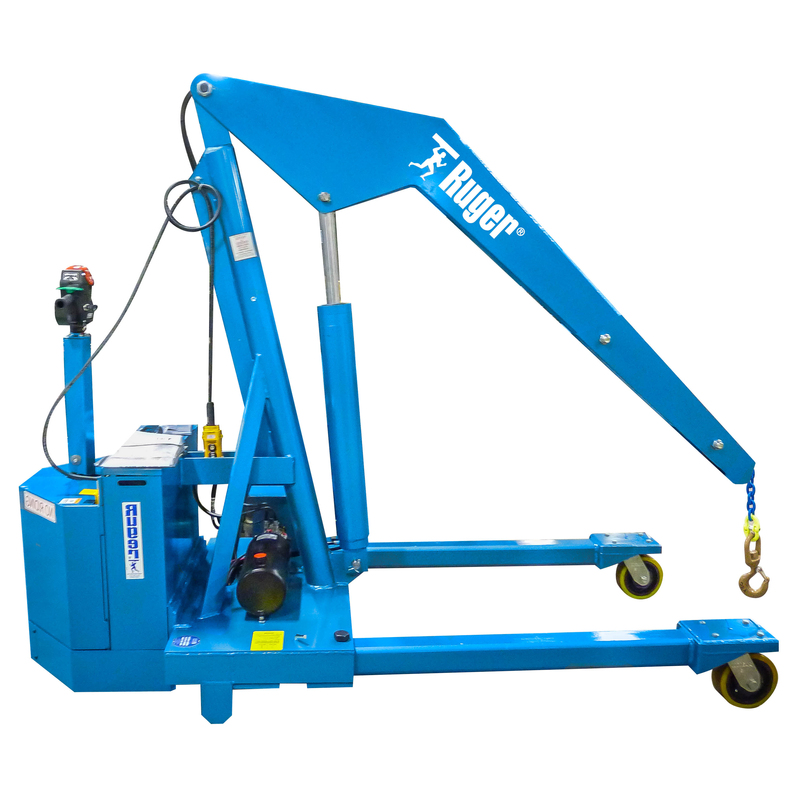 The Ruger Full Power Standard Straddle Crane features infinite variable speed control and manual extension booms to provide ultimate load control and reach. 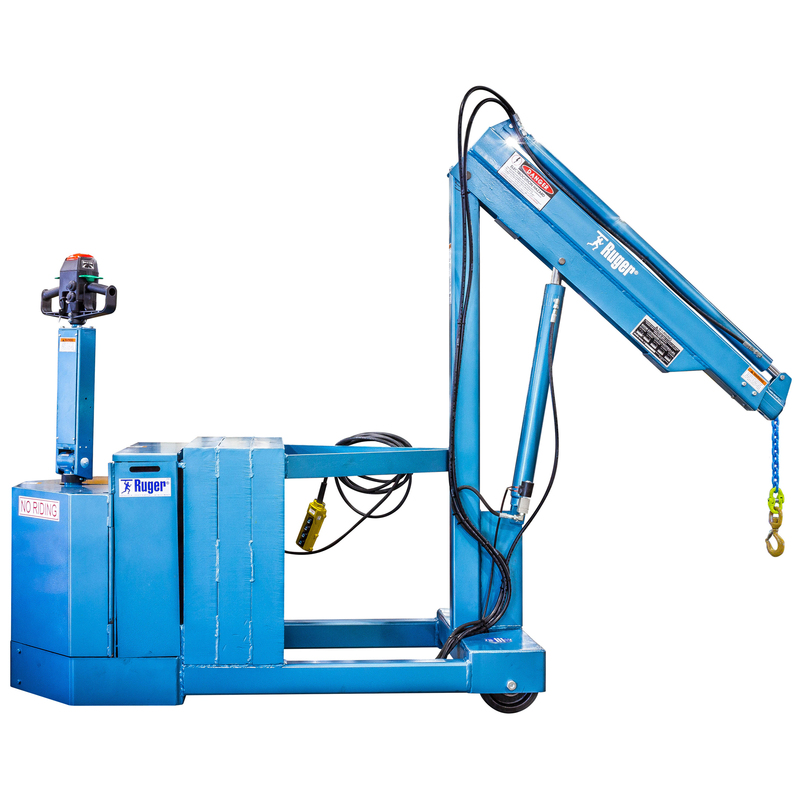 Its rugged construction and powerful design makes it a valuable asset for any material handling facility. FP-3D 6,000 lbs. 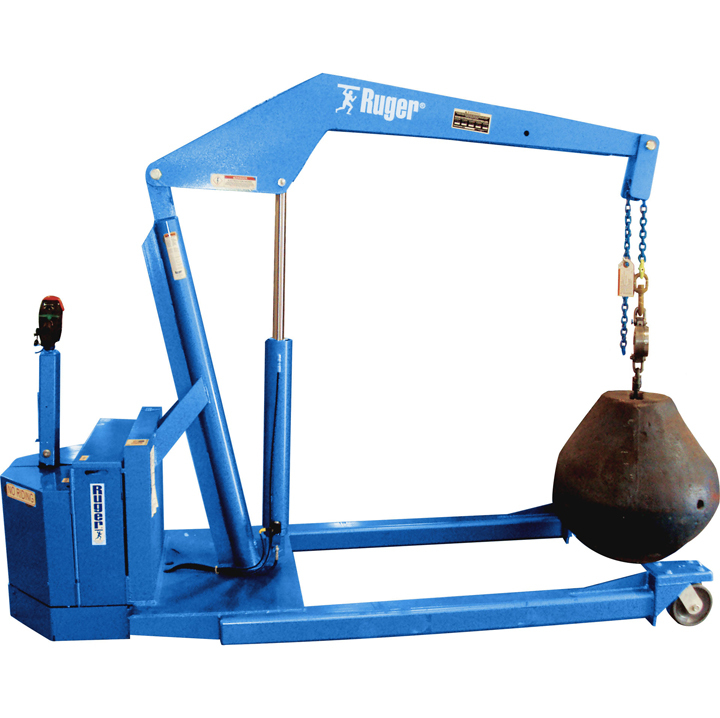 49" 64" 104-1/2" 2-1/2" 184"
FP-5D 10,000 lbs. 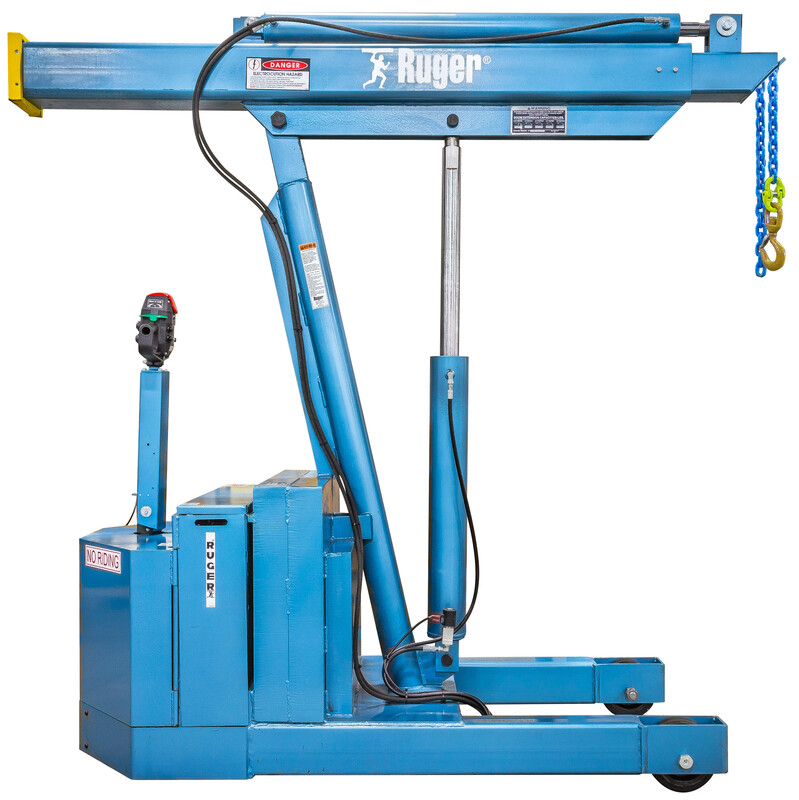 50" 63" 101" 4" 181"
The Ruger Full Power Standard Straddle Crane is designed for safety, versatility and precise load control. 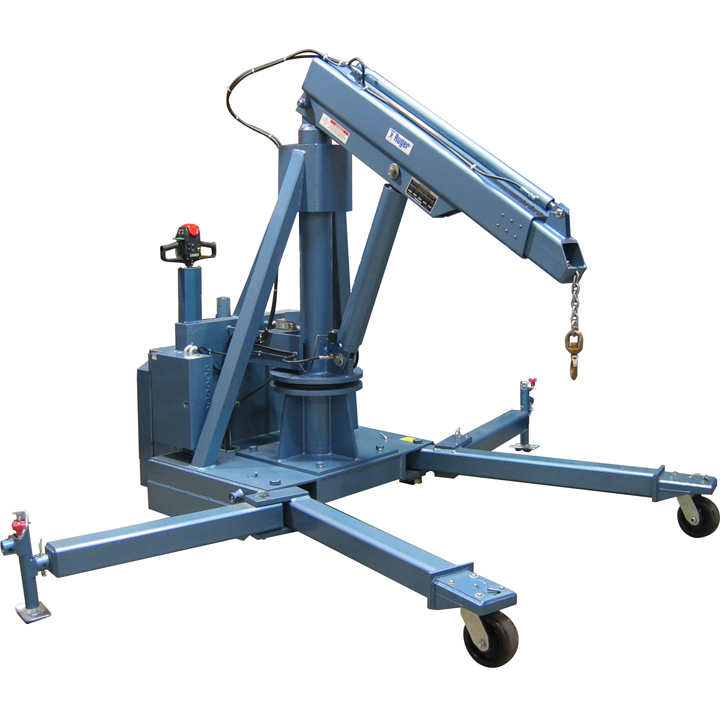 This Full Power crane will provide years of dependable use for unique material handling projects or for repetitive production applications.